For English language learners (ELLs) in the classroom, speaking English in front of others -- particularly native speakers -- can cause tremendous anxiety. In fact, the dread of speaking can actually interfere with students’ ability to learn. Even with the most well-planned, immersive, real-world learning opportunities, the brains of students with high anxiety won’t be receptive to learning, according to Stephen Krashen’s “Affective Filter Hypothesis” (and the brain research that supports it). So how can we design speaking activities that don’t make our students’ hearts race and palms sweat? Digital storytelling can be an effective way for ELLs to practice speaking English without the stress of being “on stage.” Apps and tech tools allow students to practice in the comfort of their own home by themselves or with a caregiver. With digital storytelling tools, students can spend time formulating their stories, self-reflect and self-assess, collaborate with peers of differing skill levels, and in the end, feel confident in their abilities. 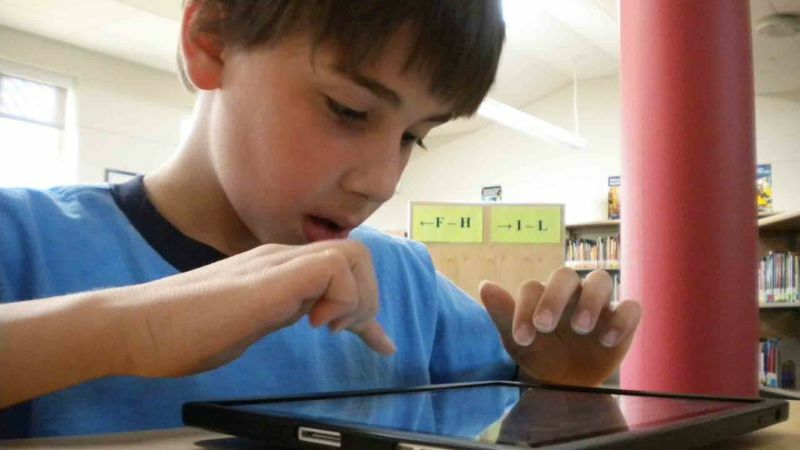 Here are a few digital storytelling tools to help get your ELLs talking. Kids use green screen-like technology to put photos of themselves (or others) into a story template, then add text and voice recording. In-app templates focus on social stories, like visiting a new place, getting a haircut, or holidays. For ELLs, the templates offer a useful foundation for building social language skills. Plus, the app’s voice recording feature offers low-stakes speaking practice since kids can record themselves talking, then can listen and re-record as many times as they want. 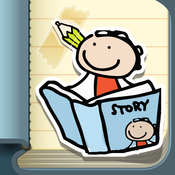 This versatile pre-writing or publishing tool is easy for young storytellers to use. Dozens of photos sorted into categories including culture, people, family and fun, serve as inspiration for prompts. 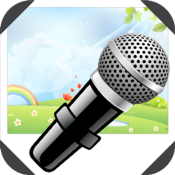 Kids can tell stories using the in-app recording feature. Teachers can also create custom prompts with their own images and voice. Giving ELLs a safe space to tell stories about their lives and experiences validates their unique contributions to the class community. Students can create impressive video slideshows using research resources built right into the app. They can capture screengrabs from an interactive map, safely search for images from the Web and access image archives from trusted sources like the Library of Congress. Kids put the slides in order, add text, music and narration, and then export the final project as a video file. 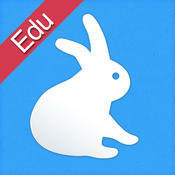 Shadow Puppet Edu supports ELLs in developing academic vocabulary in both collaborative groups and independently. 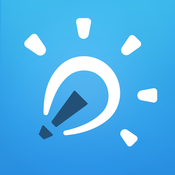 Students can use it to review new concepts, present research, track progress, explain their thinking and more. 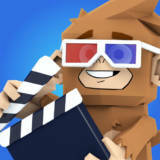 Just as with the original Toontastic app, Toontastic 3D is a storytelling app that's inspired by puppetry, theater, and animation. It employs a "Story Arc" with five sequential scenes to guide story structure (setup, conflict, challenge, climax and resolution). Kids move characters around each scene as they record narration and dialogue. For ELLs, Toontastic 3D can be an invaluable tool for building writing skills or practicing story analysis. Students can storyboard a piece of original writing or a story they read in class, and then bring it to life with fun settings and quirky characters. Students or teachers can create and share media projects that incorporate video, image, voice, or even drawings. Once posted, projects can be open to text, voice or video comments from a select group or from all VoiceThread members. It's a natural fit for a range of student presentations and projects such as explaining research or retelling a story with original artwork. 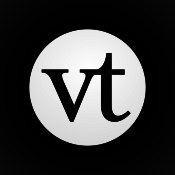 Alternately, teachers can create a VoiceThread to solicit student commentary. For ELLs who sometimes are hesitant to speak up in class, VoiceThread gives them a chance to thoughtfully craft their presentations or comments and contribute their ideas with confidence. This formidable tool is like a superhero version of PowerPoint. Users can import photos, PDF files, movies and more from many sources to use in a presentation. Students can learn how to present information using multiple forms of expression (images, text, video and audio) through digital technology. Students can edit the audio in their presentations, which gives ELLs a chance to self-assess and revise before presenting to their peers and teacher. Plus, allowing students to create multimedia presentations can take some of the focus off the speaking task, and can give creative, tech-savvy students a chance to shine. Sutori* is a tool for creating interactive timelines and stories. Students can craft multimedia projects with text, images, videos, “Did You Know” call-out boxes, click-to-reveal text links, and multiple-choice quiz questions. 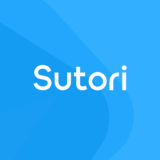 Sutori offers collaboration features, allowing students to co-create stories for group projects as well. Teachers and students can access pre-made stories and view or contribute to a collection of community submitted stories. Sutori is another great option for empowering ELLs to share their stories and knowledge without the stress of an oral presentation. Erin Wilkey Oh is Executive Editor of Education Content for Common Sense, creator of Graphite, a free service for educators in search of the best apps, games and websites for learning. Tools included here have received high ratings on Graphite by educators and by the editorial staff at Common Sense. Go to Graphite to read full reviews of digital tools and how teachers use them for learning in class. *This post has been updated to include Sutori.